A DNS Response Flood is a layer 7 attack which floods a target with DNS responses from different attackers. 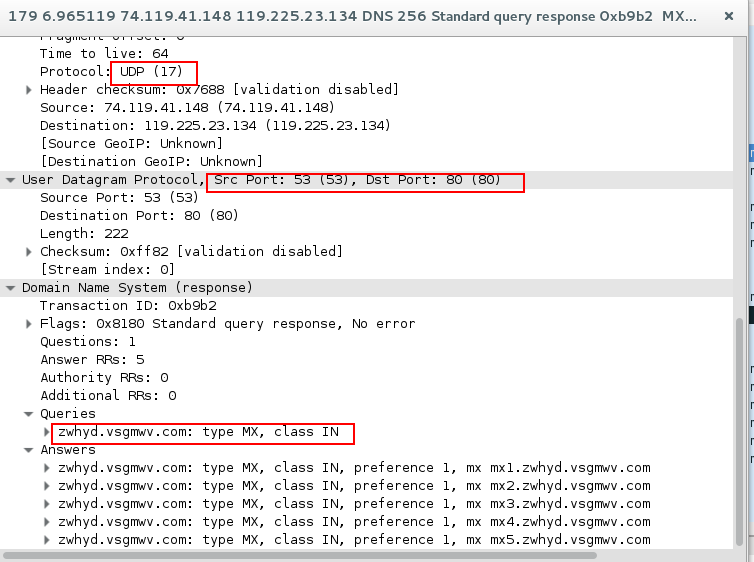 As you can see in the image 1 the attacker (74.119.41.140) generates multiple DNS responses for random records (like mx1.zwhyd.vsgmwv.com or A 193.170.181.138). The target responds with ICMP error message stating that its destination port (53) is unreachable. Image 4 shows a statistical summary . 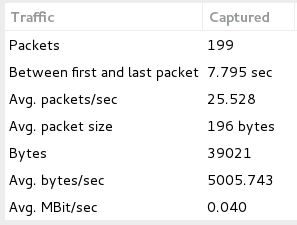 For this single attacker the number of requests per second is over 25. As mentioned in the Technical Analysis, DNS uses the UDP protocol, so the very basic filter that can be used is “udp”. 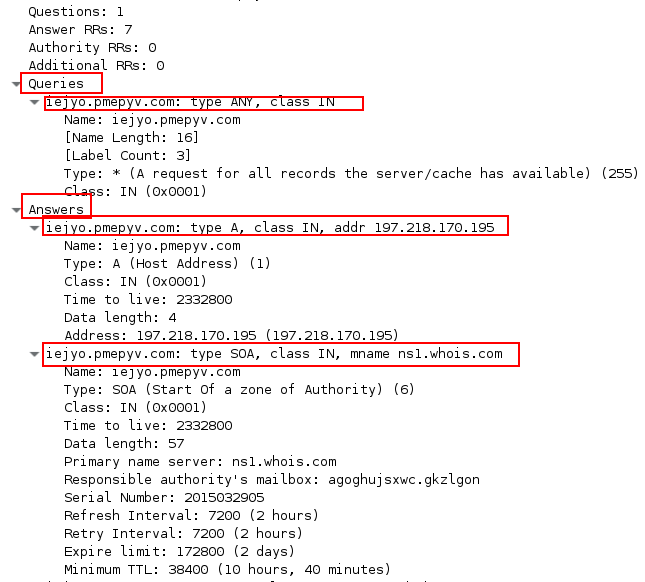 Furthermore, to identify DNS packets specifically, the “dns” filter can be used. For showing only DNS responses use “dns.flags == 0x8180”. If you see a single source sending many such responses, it could be an attacker. *Note IP’s have been randomized to ensure privacy.